There are lots of people nowadays who have their simple to complex dental issues in their mouths that need comprehensive treatment. 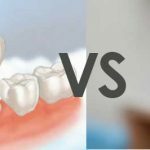 However, their ultimate vision is to improve both esthetics and function from exhibiting numerous teeth with big fillings, multiple missing teeth, broken or cracked teeth and exhibiting or failing decay. It could also be possible that they have worn teeth brought by teeth grinding or bruxism. Other patients were also usually born with conditions like Dentinogenesis Imperfecta, Ameliogenesis, Ectodermal Dysplasia that demand teeth restoration. These are the exact candidates to undergo a full mouth reconstruction. A full mouth reconstruction actually refers to replacing or rebuilding all teeth in the mouth of a patient. In this treatment, it actually combines esthetics with restorative dentistry for an improved function, beauty and health of the mouth. In general, any treatment that could affect the teeth in the mouth is known as full mouth reconstruction. In some cases, patients have oral cancer that requires them to go through this procedure. This does not involve teeth replacement but restoration of the missing structures of your oral cavity. The treatments usually consist of crowns, veneers, bridges, onlays, dentures and dental implants that will provide a complete smile makeover. An enhanced chewing efficiency will also be achieved for a patient. Some specialties may also be employed with orthodontics that can help bring the best possible outcome. With our dental health professional ready to perform this treatment, the oral health of a person will then right away be restored. This can be a complex or a basic way of rebuilding your smile as well. The teeth will no longer be out of their specific alignment and teeth damage and pain in the jaw will no longer occur. If you have a damaged teeth or a serious dental decay brought by trauma, our team will be here to address this concern to give you an improved smile and functionality. You will also get relief from discomfort due to our specific and comprehensive dental treatment. With a full mouth reconstruction, you could expect of an improved level of confidence on your part. This will later on bring a more positive and bigger impact not only to yourself but even to the lives of people around you. Since other dental-related illnesses are eliminated or alleviated, the more that you’ll be feeling more confident and better. Once you have contacted our team, you need to be prepared for an extensive planning and visits to our dentist. But still, this will vary on the degree of complexity of the issue. 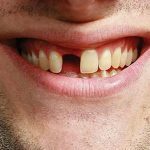 There may be a lot of treatments to be used such as porcelain veneers, dental implants, dental bridges and porcelain crowns that could help restore the oral health of a person. Sedation dentistry may also be recommended to bring total comfort for a patient during a tooth replacement.